NYCC 2018: Remedy's Control is looking like a stellar hallucinogenic, sandbox style action game – AiPT! Remedy Entertainment’s super-natural action game will feature sandbox style gameplay rife with narrative mystery. After a somewhat surprising reveal at Sony’s E3 2018 press event, Remedy Entertainment and 505 Games gave New York Comic Con attendees a special behind the scenes look at their upcoming third-person action-adventure game Control along with new details about the game’s gameplay and characters. The panel, which included several of the game’s voice actors along with Creative Director Sam Lake, opened with the same E3 trailer from June before the fifth developer diary aired. The new dev diary showcases former Max Payne voice actor James McCaffrey’s role in the game as the mysterious Zachariah Trench, the former director of the Federal Bureau of Control who is actually deceased at start of the game. The new diary also sheds more light on the game’s protagonist, Jesse Faden. Lake explained that, despite being dead, Trench would still play a key role in the game’s narrative as a ghost-like echo, with secrets of his own that he dispenses throughout the story on a strict need to know basis. There’s an air of mystery to the character that the Lake hopes players will unravel as they progress through the environment. In fact, the entire narrative will be revealed through the player’s exploration of the environment. Control is not like any other Remedy- it’s an open-world sandbox centered in the unnatural surroundings of the Federal Bureau of Control’s headquarters in Manhattan. Remedy hopes to blend the intimate environment, sandbox-style freedom, and super-natural infused action gameplay to create a new experience that can standout in a crowded generation of games. While Remedy games are typically best known for their narratives, the Finnish studio took a different approach with Control, emphasizing design of the gameplay mechanics before building a narrative around it. The result, as Lake promises, is a deeply rich action adventure game with robust third person shooting mechanics, customize-able weaponry and abilities, plus an ever-changing and destructible expansive environment with a narrative on top that is entirely tailored to the player’s gameplay experience. This narrative is rife with intriguing characters, each with their own deeply disturbing mystery that will become more clear as more aspects of the environment are explored. Player’s assume the control of Jesse Faden, the new director of the Federal Bureau of Control who takes over the FBC following the death of Trench, just as a mysterious threat suddenly wreaks havoc on the HQ. Jesse is no stranger to the paranormal, having spent the majority of her life seeking answers after a super-natural trauma she experienced as a child left her irrevocably changed. For Jesse, she’s attuned to the paranormal incidences that the FBC constantly deals with- and the FBC can provide the answers she so desperately seeks. The answers would likely come from Dr. Casper Darling, head of research and the unexplained at the FBC. Dr. Darling’s frequent exposure to weird and strange occurrences has made him all sorts of weird and strange in his own right. He mostly comes off as quiet and reclusive, yet when given the spotlight he becomes a bit of a showman- often breaking out in song or explaining things in an incredibly whacky, regal fashion. Unfortunately, Dr. Darling is nowhere to be found when the FBC is attacked, leaving Jesse on a dangerous search for not only her own answers, but answers to everything that is happening. 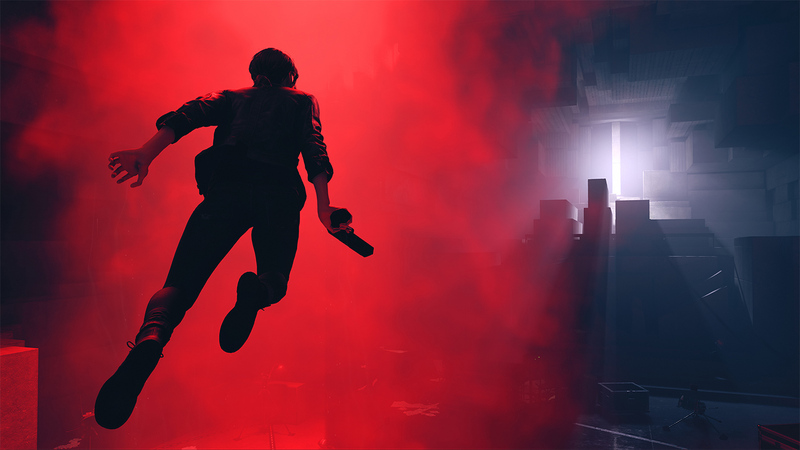 Control is shaping up to be a massive sleeper hit for Remedy Entertainment. They seem hellbent on creating a one-of-a-kind sandbox experience with killer gameplay and a hallucinogenic, almost dreamlike narrative structure. Be sure to check the game out when it releases on PS4, Xbox One, and PC in 2019.